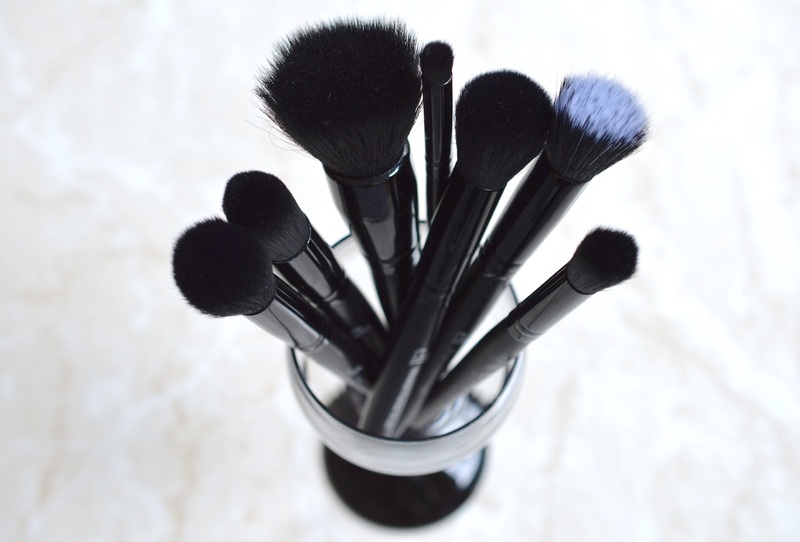 When people ask me what makeup brushes I recommend, I often freeze because the collection I use on a daily basis is totally random. From Royal & Langnickel for my natural hair brushes (here), to Real Techniques and Wet n Wild for synthetic (review), my favourites fall across the board. E.l.f. always comes to mind, especially now that their products are becoming more widely available. First mentioned in a February Favourites post, e.l.f. now has collections of makeup and tools available at Rexall, Old Navy, and even online at Walmart Canada here. Prices are very reasonable at $3.97 CAD for the small stipple brush, which is $3 USD from e.l.f. online. 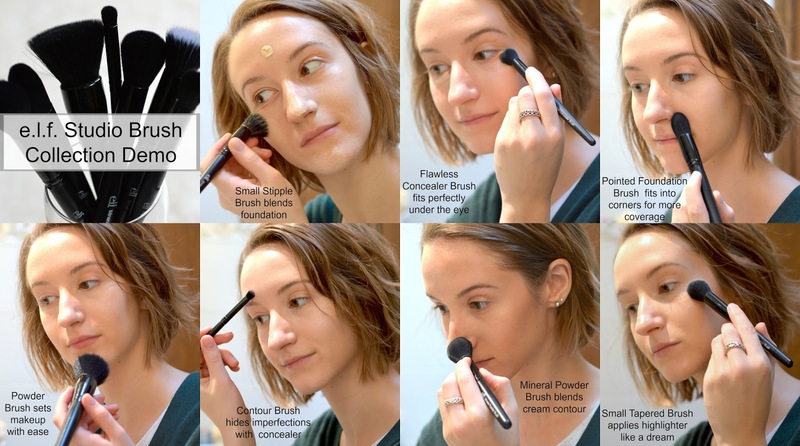 Powder Brush $4, Small Tapered Brush $3, Pointed Foundation Brush $4, Mineral Powder Brush $3, Flawless Concealer Brush $3, Small Stipple Brush $3, Contour Brush $3. 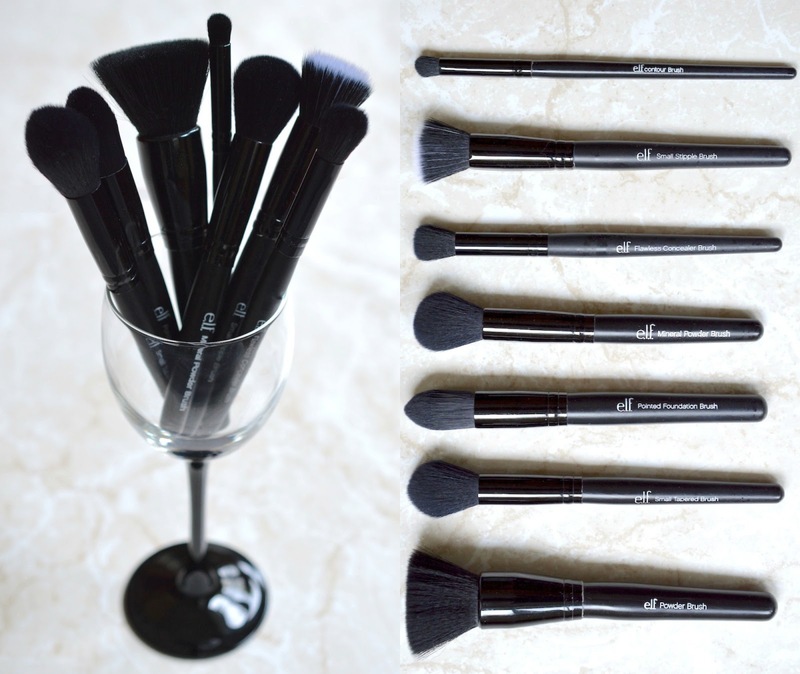 I use my collection of Studio brushes on a daily basis to apply creams and powders. The synthetic bristles are so soft, and they wash up easily. The overall quality isn't bad, though I have had a few handles fall out of the ferrule. Nothing a little bit of crazy glue can't fix! 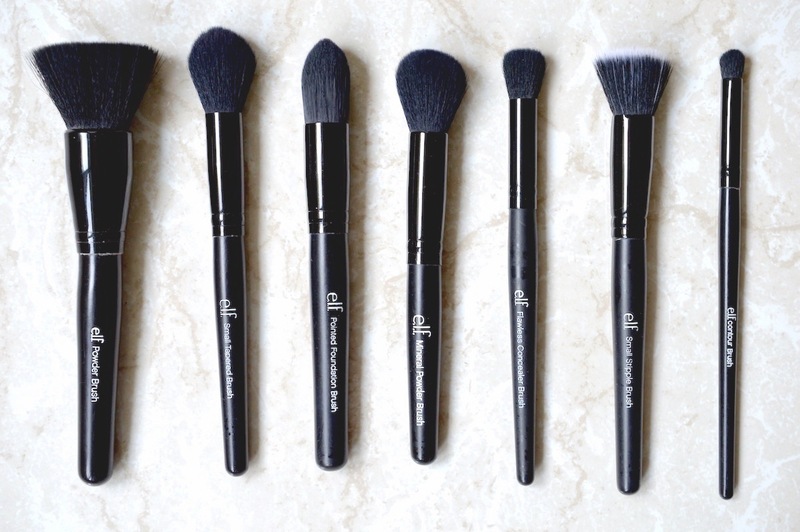 Other top-rated items from the Studio brush collection are the Eyebrow Duo Brush $3, Ultimate Blending Brush $6, Selfie Ready Foundation Brush $6, Highlighting Brush $3, and the new "Beautifully Precise" line, here. See more e.l.f. faves on the blog here: Dusty rose lipstick review, eyeshadow primer review, lip scrub review, nail polish remover pads review.